This top is sure to make a statement at the party! 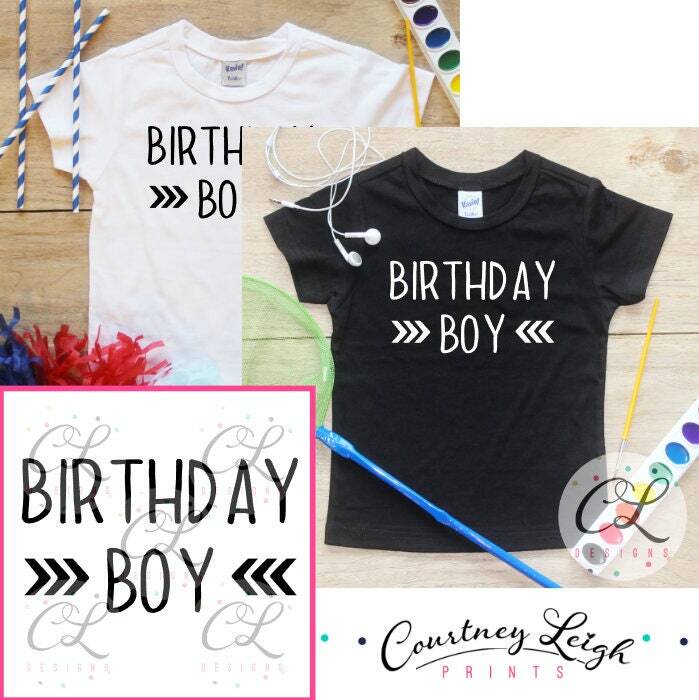 Featuring "birthday boy" with arrows, you get your choice of a few different bodysuit/shirt options. Everything that was described thank you loved it. The shirt looks great! Thanks! DO NOT order from this shop. I had an issue with my item not being delivered. I tried to contact the seller twice, and she never responded. It's been almost a month since trying to reach out to her, still with no response. Her estimated shipping times are innacurate. And I've seen a few other reviews about her not responding, and her items taking over a month to arrive. Also, if your seller doesn't respond, etsy makes it almost impossible to get ahold of them. I had an awful experience with this seller. And i would never recommend her to anyone else.